It’s piCture pOlish Thursday again, almost time for the weekend, and time for a party-ready glitter bomb: Blogger, the newest addition to the piCture pOlish lineup! I also have anothger review of Revolution, the new base coat made specifically for glitter polishes! 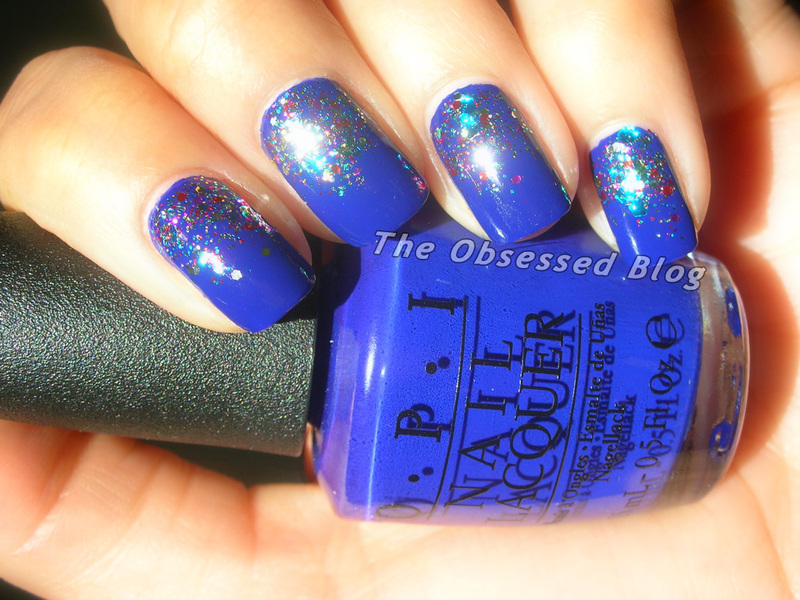 Eurso Euro was a gorgeous contrast and played nicely off the bright glitters in Blogger! Look at that crazy sparkle!!! All natural, no photo tricks! Blogger was quite thick due to its glitter content. It has a clear base, and is probably thick enough to provide full coverage in just two coats. I wiped the brush in order to get the gradient effect you see above. Once again the amazing girls at piCture pOlish have recognized their fans and their bloggers, creating this ode to indie-like glitter polish for us to adore. Get your very own bottle of Blogger and Revolution by visiting piCture pOlish on-line and or any piCture pOlish Network member, including Harlow & Co, Llarowe and Nail Polish Canada. They had both sold out last week, but more is on the way! 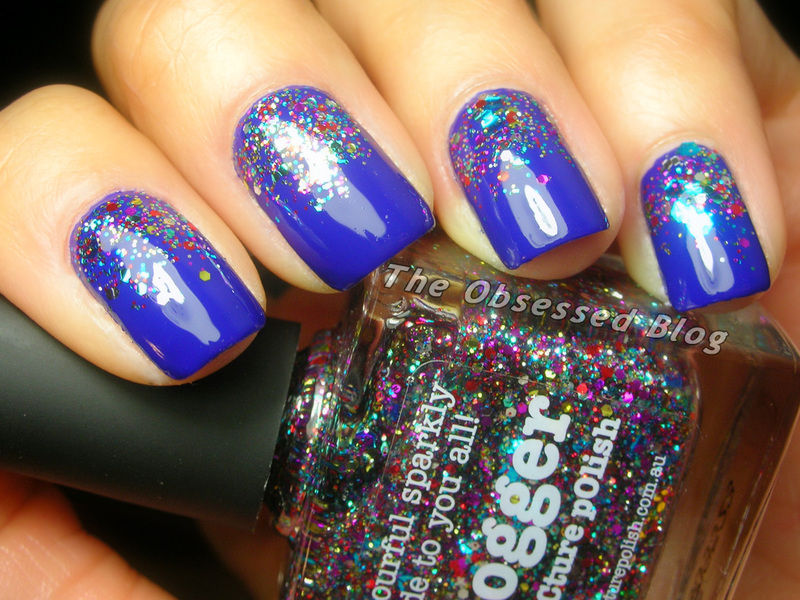 now THIS is a glitterbomb! !